Citigroup, Inc. (NYSE: C) is scheduled to release fourth-quarter earnings before the market open on Tuesday, January 18, 2011. Analysts, on average, expect the company to report earnings of 8 cents per share on revenue of $20.58 billion. In the year-ago period, the company posted a loss of 33 cents per share on revenue of $5.40 billion. Citigroup, Inc., a global financial services company, provides consumers, corporations, governments, and institutions with a range of financial products and services, including consumer banking, credit cards, corporate and investment banking, securities brokerage, and wealth management. In the preceding third quarter, the New York-based company's net income was $2.2 billion, or 7 cents per share, compared to a loss of $3.24 billion, or 27 cents per share, in the prior-year quarter. Income from continuing operations, which excludes an $800 million pre-tax ($435 million after-tax) loss on the previously-announced sale of The Student Loan Corporation, was $2.6 billion or 8 cents per share in the third quarter 2010. Revenue dropped 10% to $20.7 billion from $23.1 billion in the same quarter last year. Early in December, the Treasury Department sold its remaining shares in the Citigroup, ending a long and difficult chapter for the bank after it received $45 billion in three government bailouts during the financial crisis. Treasury's departure would finally free Citi from the shackles of government control which in turn would help the management to focus better on inducting strategic initiatives to improve its profitability in the upcoming years. The exit of the government from Citi shares will lead to increased institutional ownership, another positive for the bank stock. Part of the institutional take is that more equity indexes will be buying Citi shares with the government out of the picture, meaning more fund managers holding Citi shares. 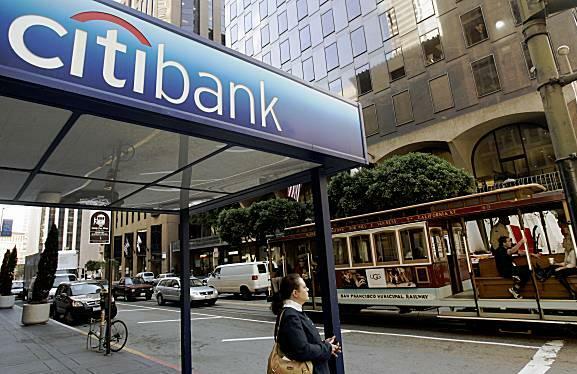 The removal of the government overhang on Citigroup shares could free up the bank to pay a dividend or buyback shares. The bank, which struggled amid mounting losses on credit cards and mortgages, has been selling some of its assets from its Citi Holdings unit. In November, Citi sold a $1.4 billion real estate loan portfolio to OneWest bank, helping it shrink Citi Holdings to less than 20 percent of Citi's total balance sheet. Citigroup recently announced that on December 31, 2010, it had completed transactions with Discover Financial Services and SLM Corporation that resulted in the divestiture of its student loan business, The Student Loan Corporation. The sales reduce non-core assets in Citi Holdings by approximately $31 billion and combined with other divestitures in the quarter are expected to bring Citi Holdings assets to less than 20 percent of Citi's total balance sheet as of the end of the fourth quarter 2010. Citi Holdings will continue to pursue economically rational divestiture opportunities that are in the best interest of shareholders. As part of the transactions, Citibank, N.A. purchased approximately $8.7 billion of assets from SLC and will explore opportunities to reduce these assets over time. Meanwhile, Citigroup’s core business is progressing well and the international business is gaining momentum. Its wholly-owned subsidiary, Credicard, signed a binding agreement with U.S. Bancorp’s (USB) wholly-owned subsidiary, Elavon, in order to form a joint venture form a merchant services company offering payment solutions in Brazil. In terms of stock performance, Citigroup shares have gained nearly 40 percent over the past year.